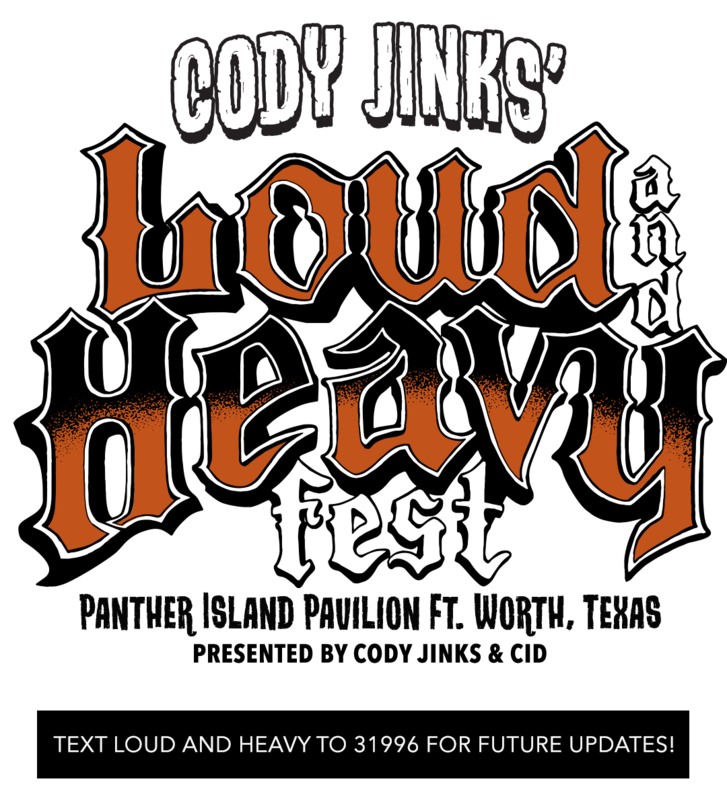 CODY JINKS’ LOUD AND HEAVY FEST debuted on his birthday, August 18, 2018 at Panther Island Pavilion in Cody’s hometown of Fort Worth, Texas. Located in the heart of Fort Worth, along the banks of the Trinity River, there’s no other venue in Texas that’s better suited for Loud and Heavy than the beautiful Panther Island Pavilion. 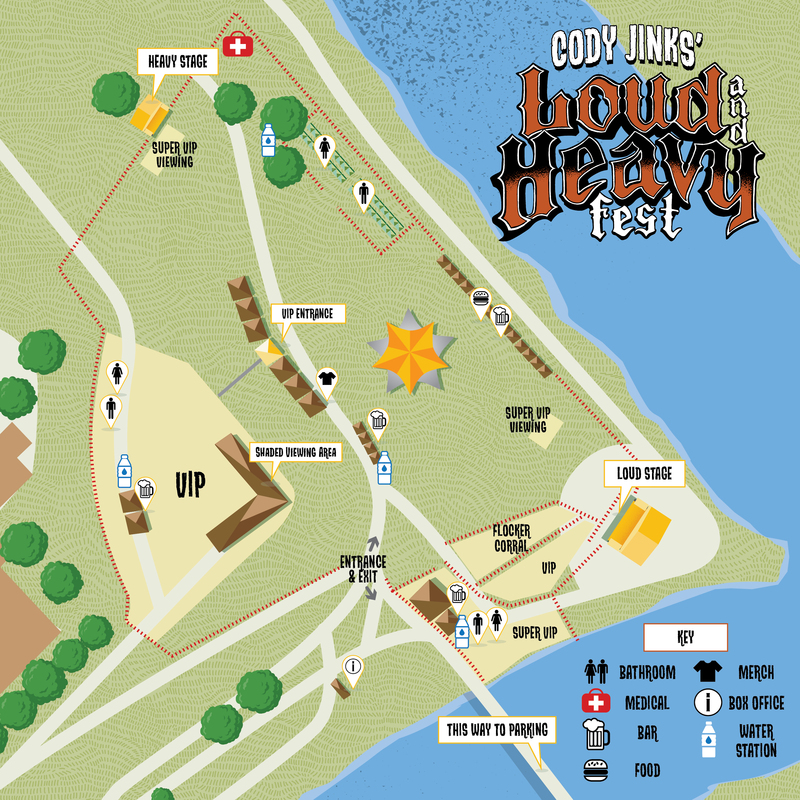 Guests at Loud & Heavy Festival will enjoy numerous acres of festival space and two stages of music featuring hand-picked artists by Cody himself. Local food vendors, space for children’s activities, art, exclusive merchandise, and exciting sponsors are also on tap for this special celebration, all with a view of DFW’s downtown skyline. Panther Island Pavilion is connected to 72 miles of beautiful trails via the Trinity Trails network and offers easy access to Sundance Square, with world-class shopping, restaurants and bars. With the highest decibel levels in the city, PIP will allow us to stay true to our name as we go Loud & Heavy all afternoon and evening!